We’ve recently been speaking to Race Car Centre Motorsport about their preparations for the upcoming Porsche Carrara Cup series. This will be the teams third year of competing in one of the most exciting race series in the UK. 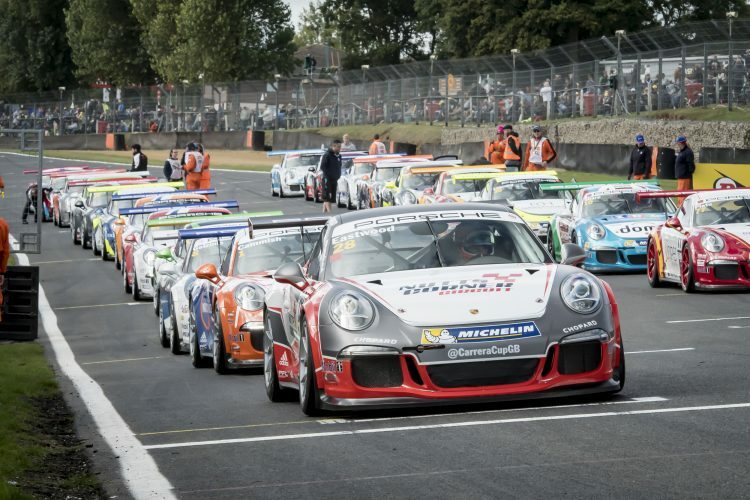 The Porsche Carrera Cup GB will once again be the main support race to the MSA British Touring Car Championship and will be held at 8 weekend meetings from 1st April (See below). Race Car Centre Motorsport are offering a fantastic VIP race weekend package to allow a limited number of fans to get up close with the action. The package not only provides a full hospitality package but also the chance to have your company or personal message/branding on RCC’s actual 911 GT3 Cup Car. Each Package purchased enables you to bring two children up to the age of 13 along to all UK race weekends. VIP and sponsorship package comes with unrivalled Corporate Hospitality extras! > Company/personal message branding on “The Race Team” 911 GT3 race car. > Gate entry for both days. > Stand tickets (subject to venue). > VIP lanyards for each guest. – Free tea, coffee and soft drinks. – Drivers briefing pre-race and after race. – Behind the scenes of Porsche Carrera Cup Race Team. There’s also a chance to join the team for this years Le Mans where the will support the famous Le Mans 24-hour endurance race, scene of a record 18 outright victories for Porsche. Price per ticket £1500 per Adult.